If you haven’t heard by now - we have some very good news! We are very happy to announce that, as of today, one of the best Party Poker promotions has started. From now (August 14th) until August 31st (there is a possibility that it could be extended further) all new players that sign up through PAW and make a deposit will receive 40% rakeback for their first month of activity! So, for example, if you get a new player to sigh through your PAW tracker on, i.e. August 30th - that player will get 40% rakeback for all the traffic he creates from that date up until September 30th (one month time)! When and how do they pay? The rakeback payment for previous weeks will be given out each Monday automatically based on the Rakeback tier the player qualifies for. Also, if your player did not receive 40% based on Play, Party will manually add this additional payment to your players account. Well, our theory is that, since Party Poker and Bwin are actually going through some really great upgrades lately, they want to show it off by enticing some new players to their brand. As a part of this same process, they made some first phase upgrades to their tables and lobby (as yu can see in the pictures). Thay have also added great new, fee-free deposit options that are sure to improve their service even more. Well, maybe this is a good chance to remind you of an important fact: If you have Party/Bwin players that have been inactive over 181 days, you can invite them to come back and even make a brand new account that can be tracked to your PAW account. Contact us through email, Skype or our online chat service on the PAW website. 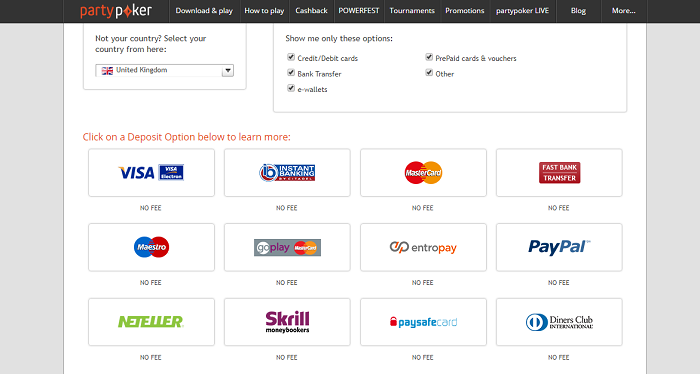 You can find the details of the PAW PartyPoker deal on this link. In case you don’t have a PAW account, you can sign up here for free. It only takes a minute.